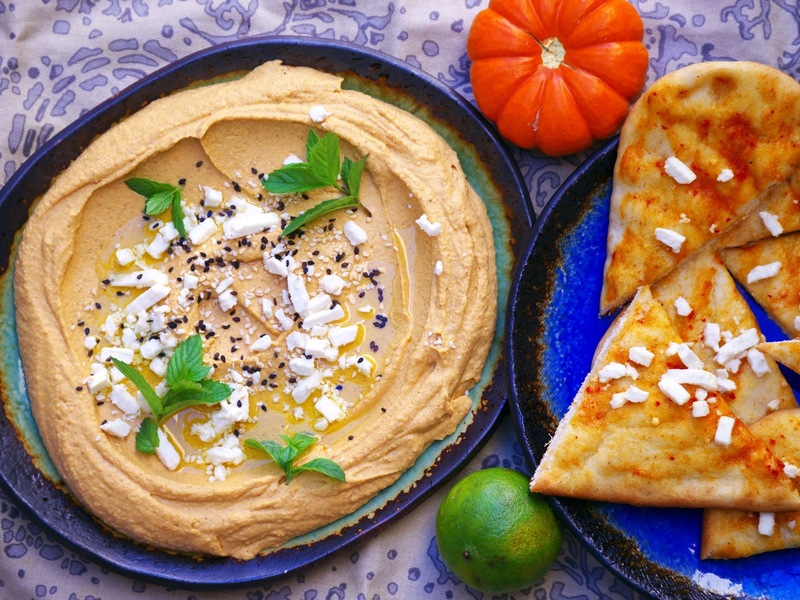 Presented here is an autumn inspired hummus, consisting of roasted pumpkin and chickpeas, spiced with pumpkin-spice seasoning, with its sweetness counter-balanced with a generous helping of fresh lime juice. 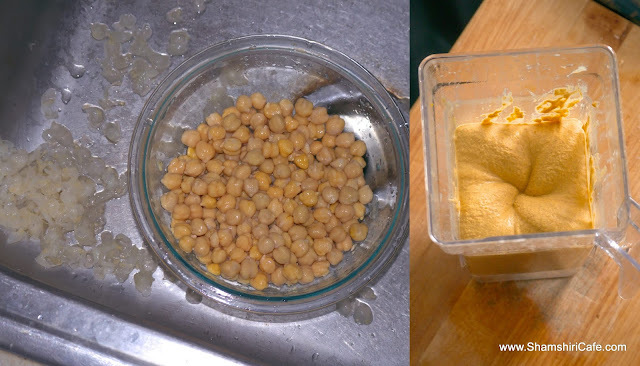 The key to having a good hummus is using plenty of tahini, avoid adding oil and using ice cold water to liquify, and making sure all the skins from the chickpea pulses are picked and removed. 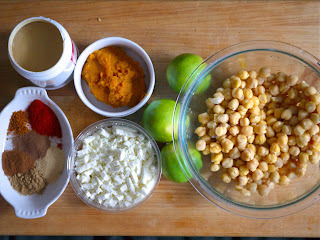 Another example of a smooth and easy hummus in the archive is this red lentil hummus. Note: To make the toasted naan wedges, smear the surface of each loaf with extra virgin olive oil and Sriracha and then sprinkle with crumbled feta. Toast in a hot oven until crispy. Cut to triangles and serve. 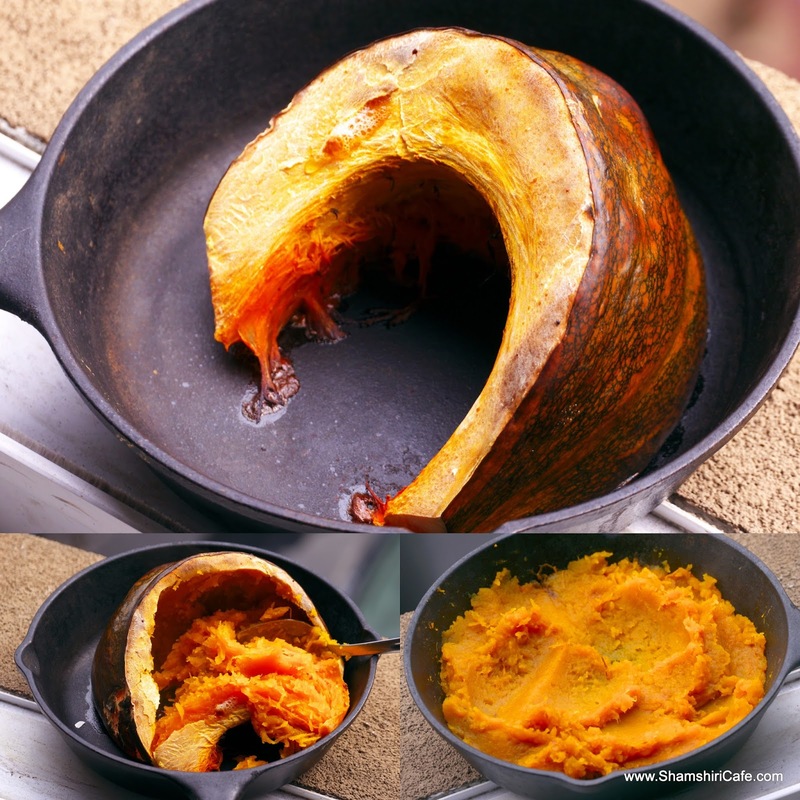 Roast the pumpkin and puree, using a fork. You can also use canned pumpkin puree (not the sweetened and spiced stuff, made specifically for pumpkin pie). To have a smooth hummus, remove all the skin from the pulses. The amount of collected skin form a can of chickpea will surprise you! In a blender mix all the ingredients. 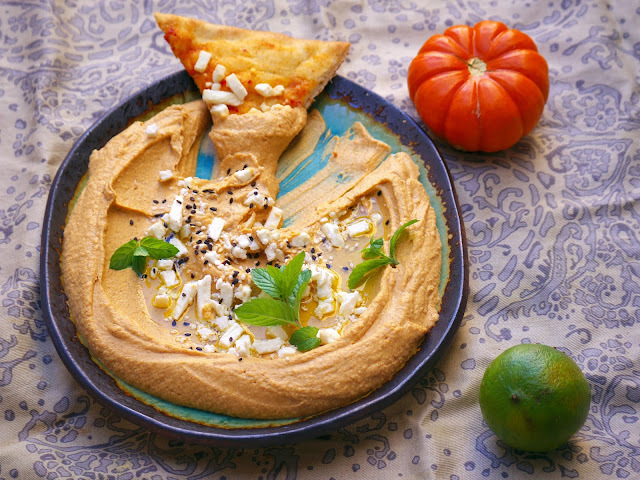 Gradually add the ice cold water to the blender's jar until the blades run comfortably and the hummus is light, shiny, and very smooth. Feta cheese (or any cheese) matches well with pumpkin and forms a pleasing flavor profile. Use some to garnish.